Is Your Son’s Life Worth it? Should 16 Year Olds Be Sent to Prison? I read with interest the news today that Governor Andrew Cuomo announced the State of New York will no longer send 16 and 17 year olds to prison for criminal offenses. Instead, they will be sent to special newly created youth courts for felonies and to family court for misdemeanors. This new law is called “Raise the Age” initiative. Kudos to New York. And kudos to the other states that have raised the age for incarceration in state prisons. Since 2009, seven states have raised the age of adult proscecution to 18 and five more have tried during their 2015-16 legislative sessions. 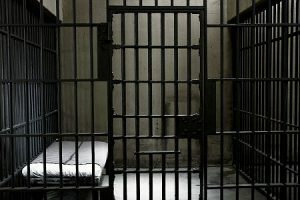 Here in Georgia, Representative Mary Margaret Oliver, Representative from the 82nd District, filed proposed legislation that would raise the age of adult criminal prosecution to 18 and enlarge the jurisdiction of Georgia Juvenile Courts to include 17 year olds. House Bill 53 was attempt by Oliver to treat juveniles under age 18 as just that…juveniles. “There are only six states that allow minors to be treated as adults for the criminal prosecution of all crimes,” said Rep. Oliver. “HB 53 is intended to bring Georgia into the mainstream so that 17-year-old minors will no longer be prosecuted as adults, but will be adjudicated in the juvenile court. Expanded juvenile court jurisdiction to include 17-years-old children is a needed reform.” If passed, HB 53 would adjust the juvenile court’s jurisdiction to include children under the age of 18. This jurisdiction includes the investigation and examination of delinquent acts committed by minors. Under current law, only children under the age of 17 are included in the jurisdiction of the juvenile court. HB 53 was read on the House Floor, but unfortunately, never received a vote. In fact, there was other legislation filed in the Georgia General Assembly that would lower the age for criminal prosecution for certain offenses rather than raise it. One of the reasons I am interested in this legislation to raise the age is because I represent the mother of a young man who was incarcerated in adult state prison here in Georgia at the age of 16. At the age of 17, he attempted to kill himself by hanging from his bedsheet. He now remains in a constant minimally conscious state in a nursing home in South Georgia due to the brain damage he suffered during the suicide attempt. He is 19 years old. I firmly believe that had he not been sent to an adult prison at age 16 he would be a healthy 19 year old now, looking forward to rehabilitation for the offense he committed. That will never happen now. According to the Campaign for Youth Justice, which used Department of Justice and CDC numbers, teens under 18 being held in adult jails are 19 times more likely to commit suicide than teens generally, and 36 times more likely than those held in juvenile facilities. 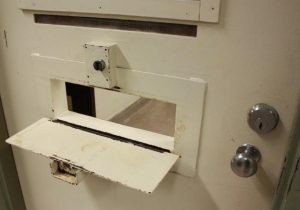 The Bureau of Justice Statistics says youths under 18 were 21 percent of those sexually assaulted in adult jails in 2005, despite being only 1 percent of jail inmates that year. In 2016, President Barack Obama banned solitary confinement for juveniles in federal prison, saying it’s overused and can have devastating, lifelong consequences. And these are kids who often already have problems. He cited the case of Kalief Browder as the prime example of why teenagers should not be incarcerated in adult prisons. Many of you may be watching a documentary about Kalief Browder on Spike TV called “Time.” If you aren’t watching it, I urge you to do so. Kalief was accused at age 16 of stealing a backpack. He was held in Rikers prison in New York for three years, most of that in solitary confinement, without a trial. He had made numerous suicide attempts while in Rikers. When, after three years, the State of New York dropped all charges and he was finally released from prison, he killed himself. There is no question that Governor Deal is making great strides with his Criminal Justice Reform initiative. I applaud his efforts. In February of this year the Georgia Council on Criminal Justice Reform delivered its report to the Governor. Regarding juvenile offenders, the Council found that since 2013, yearly juvenile commitments to the Department of Juvenile Justice have decreased by 46 percent. This is good news, but 16 year olds are still being sent to adult prisons with disastrous consequences. When a legislator balks at raising the age of criminal prosecution to 18, or attempts even to lower the age for some offenses, I would love the chance to look in her or her eyes and ask: “Is your son’s life worth it?